Remember the famous movie ‘When Harry Met Sally’ its like a love letter to New York. 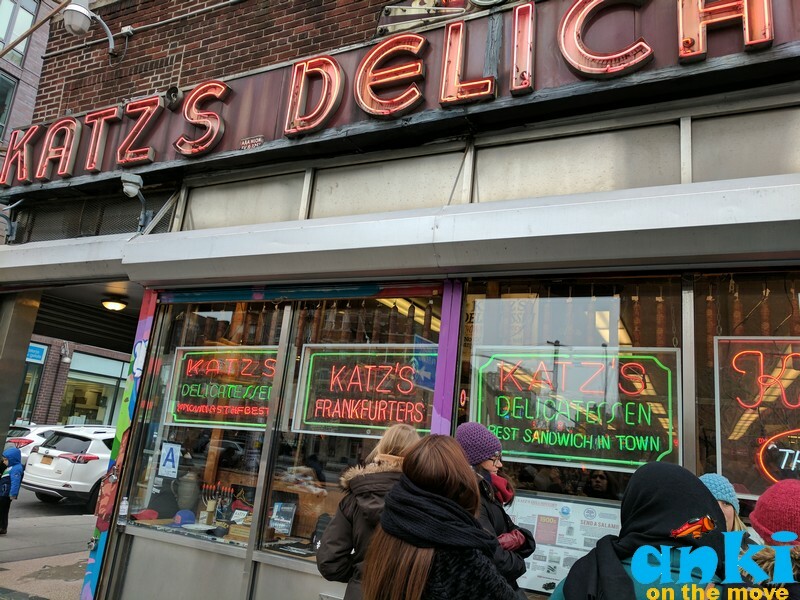 The scene where Sally had a really intense moment with her sandwich, the ‘I’ll have what she is having scene’ was shot in Katz’s Deli NYC. From tasting varied Kanishe to Barreled pickles in the lower east side, we had a blast one blistery afternoon discovering food (mostly Jewish and Eastern European food) which was once sold on pushcarts in the corners of New York with local food blogger ‘Alicia’ who was a representative of FreeToursbyFoot. Earlier people would eat food where they grew up and made the same 10 dishes their mothers and grandmothers used to cook. Years back, when people started immigrating to New York from all different countries but mostly Europe, people would speak many different languages. There were 30 different languages spoken on Ellis Island and they even had a translator at the immigration to answer questions or read. And these immigrants where given bananas by them to eat when they discover America. Most people haven’t had seen Banana before in their life, so they were holding an old yellow object and would think what they were supposed to do with it. So many people saw different food than they were used to and hence came a conglomeration of different cultures with varied ingredients. Hence New York is known as Melting Pot - most people do not just come for the Statue of Liberty and Empire State which of course are primary attractions, but food for the most part. Knishes came from Poland where they were sold as comfort food. They were originally sold by professional mourners, these people were hired to attend funerals and wail and cry and mourn with the people who were actually attending the funeral and with them they were selling Knishes for 5 cents a piece. 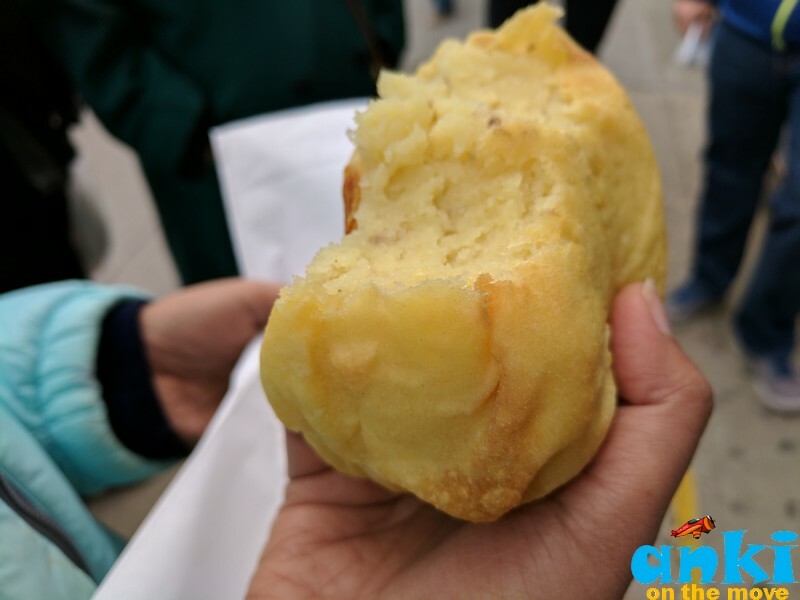 They started as comfort food and so you can say, if you have nothing else with you, a Knish would still be there. We started our tour from Yonah Shimmel’s Knish Bakery which is one of most famous Kosher Jewish restaurant in the Neighborhood. So Yonah Shimmel is here since the 1910’s. 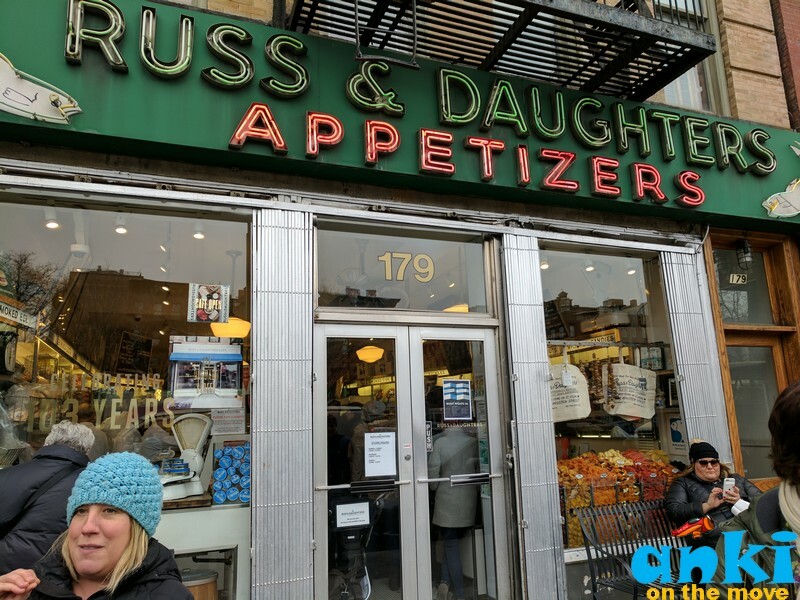 He originally started selling Knishes from a pushcart in the 1890’s and he was a rabi then so he left his rabi practices and sold Knishes and opened his store. In 1910 he end up selling the shop to his good friend and his son in law Joseph Berger and went back to pursue Rabi practices. The gentleman that we saw on the corner was a descendant of Joseph berger. Jonah Shimmel is a Kosher Restaurant, who follows Kosher Law for food. “Kosher” in Hebrew means “fit” or “proper.” in terms of food, kosher meets the dietary requirements of Jewish law and they are certified for a rabi. 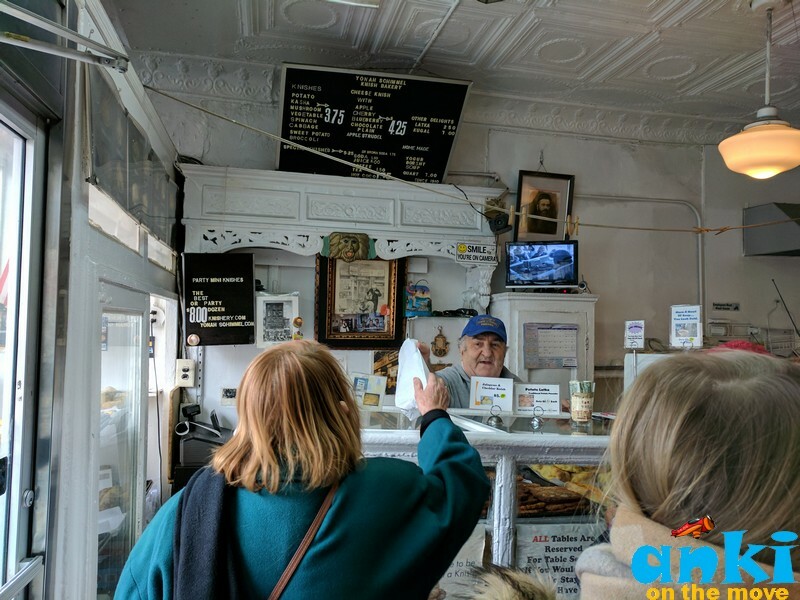 Yonah Shimmel’s Knish Bakery is a favorite with lot of folks who even get it packed for their parents or families living elsewhere. The traditional Knishe is very savory. Knishes are basically mashed potatoes which has pastry dough wrapped around it and the real traditional ones had mushrooms and onions. Here they go crazy with flavors because they have been longer than most places in the neighborhood. Some of the flavors are Jalapeño Cheese, Potato, Blueberry cheese etc. Knishes start for $3. Sold on pushcarts then, they were very popular in the neighborhood. A lot of folks who live here wouldn’t need a lot of money to use them to buy them. 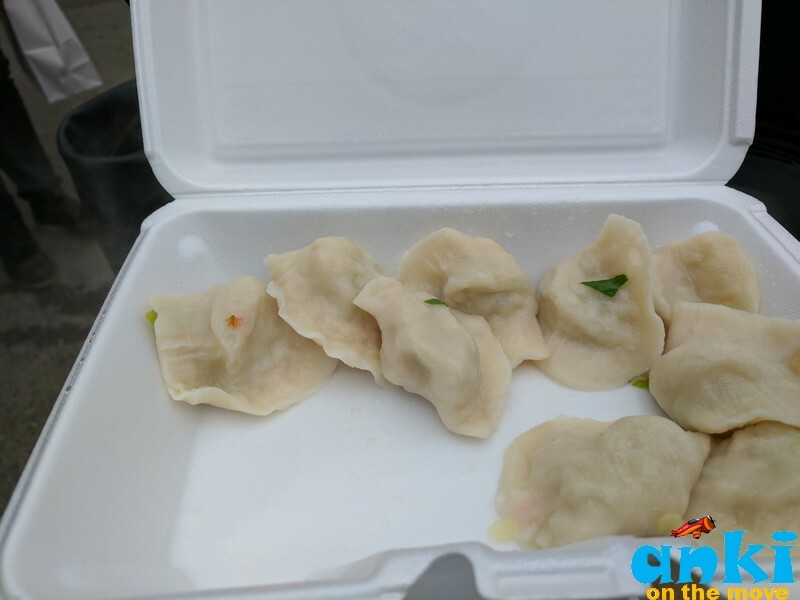 They made comfort food at food, load these pushcarts and walk around the neighborhood and with an investment of a little money would make a lot of money. This Neighborhood was once historically the second largest jewish sect in the entire world. This neighborhood does not have a jewish presence anymore. Every body had pretty left, because back then it was never a dream to part of this side of Manhattan because these were slums originally so the dream was to make money and move to suburbs. In the 90’s it became a dream for everyone to come to New York and all of a sudden people of different diversities started moving here and the prices and rents went up. 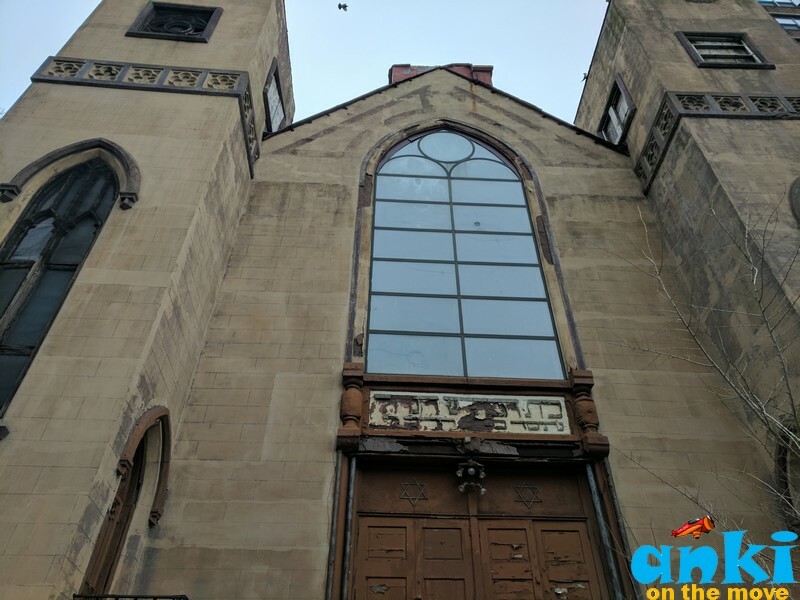 So there is lot of places and synagogues (some of which are not used now) are listed in national history of historical places and there are many firsts in the neighborhood - like the first orthodox synagogue and the first Jewish Synagogue etc. Featured in Soup Nutsy episode of Sienfield, this place is so popular that your indecisiveness even for a minute when deciding can take you back again in the queue. 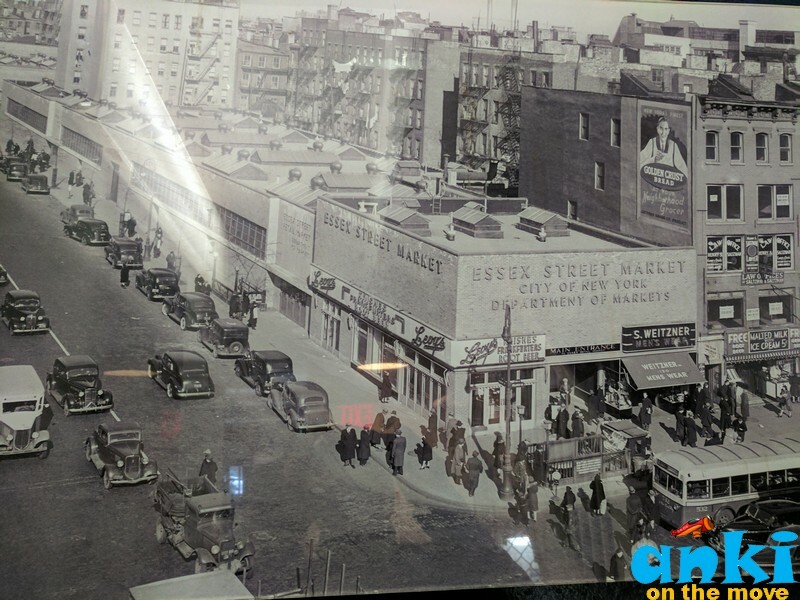 This is very very old School New York and in that episode of Soup Nutsy, it so happens that they love this place so much they’ve got to get that particular kind of soup, the soup was very very good but the guy who was working there was shown to be mean. Here you have to know exactly what you want, you have to take you ticket and when they call your number and if you are still like ‘um’, ‘oh’, let me decide, you can go back in the queue because the food is so good everybody wants it. 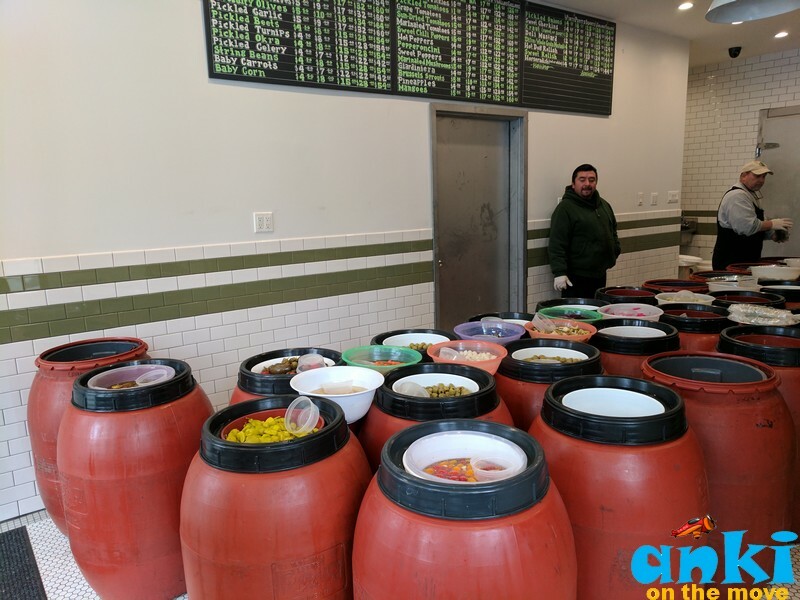 When you stick your head in, there are a lot of smell rushing out to you, the Smell of the Heartiness of the Bagel, the freshness of the Shmear and the graininess of the Fish all in one breath will make your mouth melt for sure. A lot of folks think that how liberal can a father be back then to name their shop as ‘And Daughters’. The story goes that when Joe Russ came to United States in 1907, he came from poland and his sister was his sponsor. They sold fish for 7 years in a barrel made enough money to open up a store. The name ‘& daughters’ is because he didn’t had any sons, his daughters helped him on his family business. The restaurant used to be originally closed on Saturday. They are now open on Saturday and the family still owns this place. The daughters have retired in Florida but their kids runs the business. The name Appetizers here is a symbolic of anything you can put on a Bagel coming from different culture than US. In America Appetizers usually refer to small bites before the rest of the mean. A really iconic restaurant in the New York and one of the most famous. You can actually get to sit on the table where the scene from Harry Met Sally was shot. In fact, once you watch the movie again, a lot of the landmarks are shot in New York. It was opened in 1898 and is famous because its shot in many TV shows and movies. The big ticket time is a reuben sandwich, which costs around 18 dollars one piece and can feed 3-4 people for the most part so its not not ridiculous to go with your family and have just one sandwich. So what is a Bialy? A Biali is a closed cousin to the Bagel. 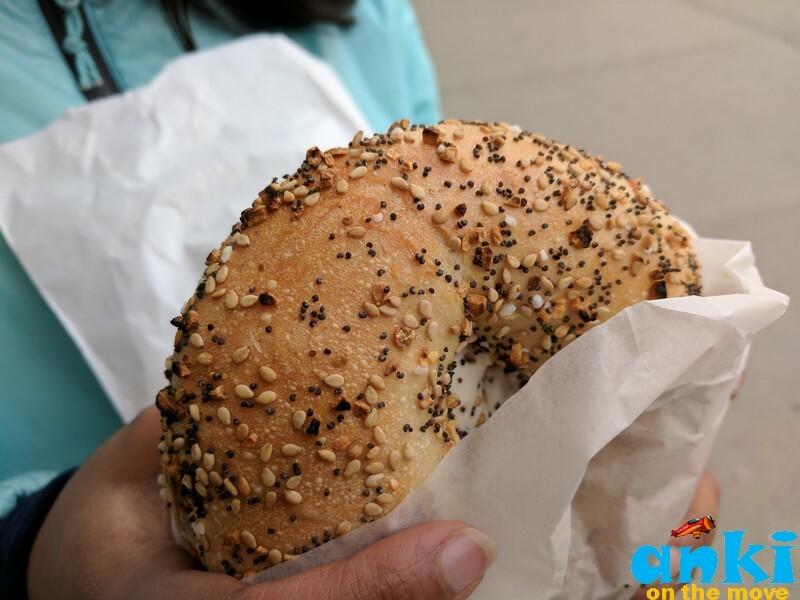 Bagels have chewy consistency and is glossy from the outside because they are made of dough, boiled and baked and that gives it that consistency. A Bialy is not boiled but just baked so it is very very dense. There is legend behind how Biali was made by accident. So Biali from Poland and there was a baker in Poland who was making Bagel and had a little bit of rolled over dough. He doesn’t realize that he had dropped it on the ground and as soon as he dropped some one steps in and there were indentation on it. Five minutes later the baker picks it up and says 5 minutes roll, adds poppy seeds and bakes it. And that’s how Bialy started. This shop was opened in 1930’s and they used thumbs to make indentation. They add roaster garlic / roaster onion/ sun dried tomatoes / sesame seeds etc and you eat it in the same way you eat a bagel with a smear, There are 10 different kinds of Smear here and one of the good ones id Devil’s onion. Pickles and next door here and one of the things that were also sold in the pushcarts because they don’t get spoiled easily. 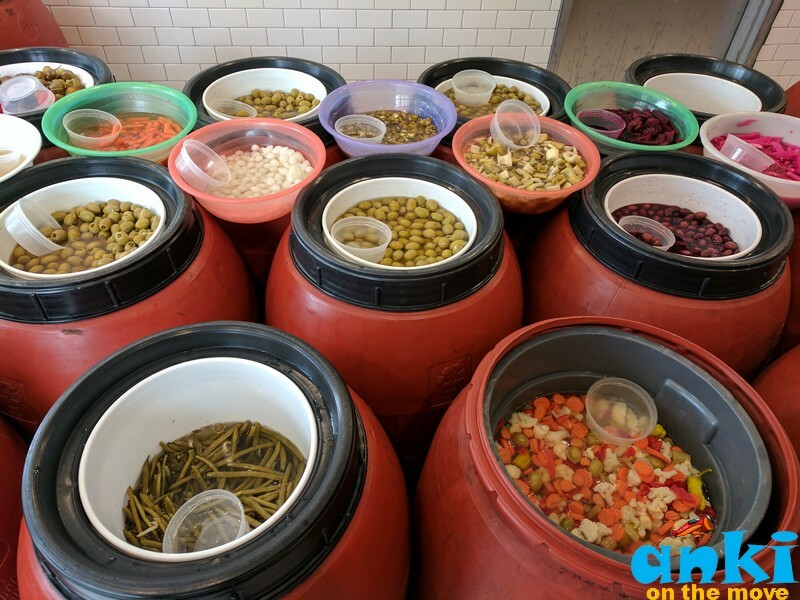 The ingredients they use on the barreled pickles are spices and water and no vines. They have garlic pickle, mushroom picket, fruit pickles, berry pickles, its like a Pickle Party out there! So they give you pudding shots for $3. And is a very cosy restaurant with cupcakes and puddings. Pudding in UK is different than from US. In UK they mean any kind of dessert and in US, they mean custard for the most part. So if you like puddings, they have fresh ones some of the good ones are Shmapple that’s like Vanilla Pudding with Coasted Apples(yum!) and Peanut Butter and Banana Pudding etc. This is the inside of Angel Orensanz Center. This building was originally the oldest orthodox synagogue in New York city along with many other synagogues. Usually when community moves like the Jewish community did, Synagogues also do. But this building is on the national registry of Historic places so there is a certain list of criteria on how this building should be kept from the outside, we simply cannot let it fall off. So no one wanted to keep this landmark as one had to invest a lot. When Angel Orensanz came from Puerto Rico came, he turned it into mixed media art center. 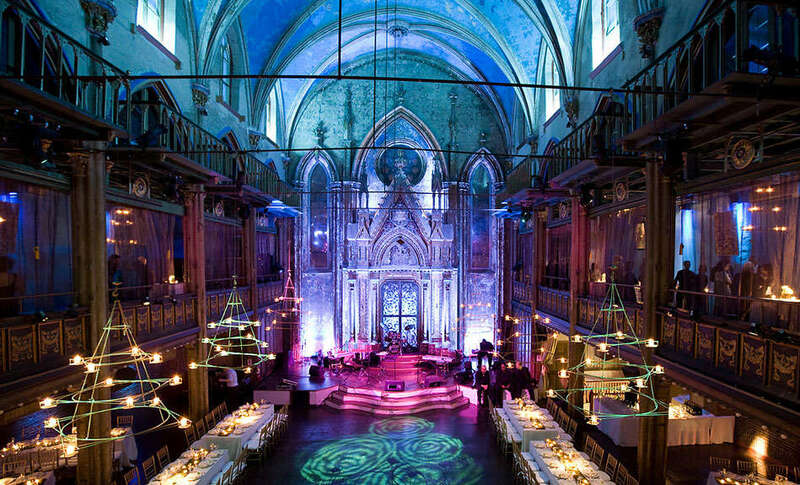 Today it is very popular for expensive weddings and they use it in fashion week, musical performers. this is where sarah jessica parker got married to Matthew Broderick. Recently, they had to shut it down because the balcony was not structurally safe so they had to do little bit restoration on it and its great an example of what can be saved. There is also Elder Street Synagogue which was turned into a non- profit museum. But not every building were as lucky. We also saw one of the oldest jewish synagogue in new york - originally was a baptist church and then a synagogue because the jewish community settled. Today it is on sale for only a hundred thousand dollars, once you see you will realize it will take millions to bring this building back because you have to keep the outside intact. 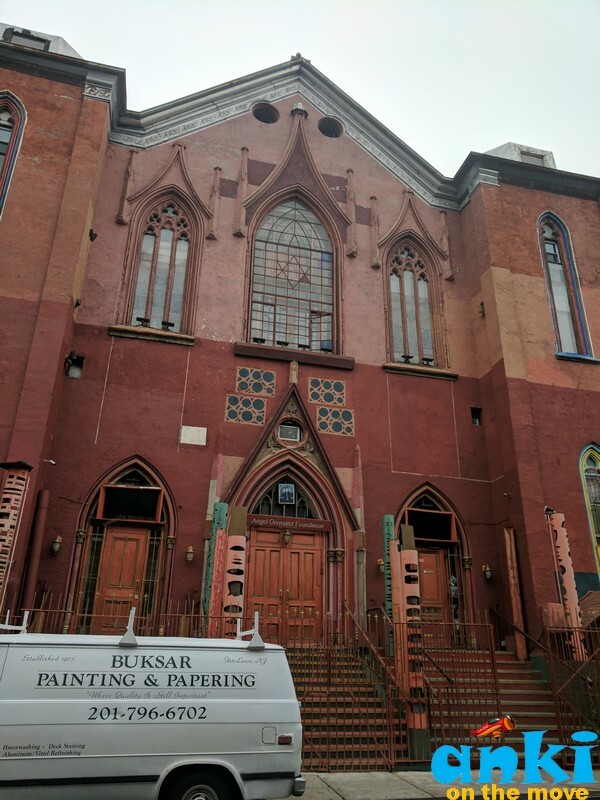 If you know who wants to buy an aging synagogue to make it into a theatre or restaurant, probably would be a great idea! So where did Jewish Community go? Williamsburg that was. Williamsburg bridge was build in 1903, goes to williamburg brooklyn and that is where the jewish community went from the lower east side. There were really horrible apartment building called tenement building and you have 4-5 families packed in and you had more than 20 people living in those on the lower east side. So they escaped these horrible living conditions when williamsburg bridge was built and walk across the williamsburg it was nicknamed 'Jewish highway' because of that. 10’s or 10000 of eastern european jews escaped these conditions on the lower east side, but so many people left they end up bringing the exact same conditions with them to williamsburg. Today these small tenement apartment in the neighborhood of lower east side costs about $3500 and are very desirable. 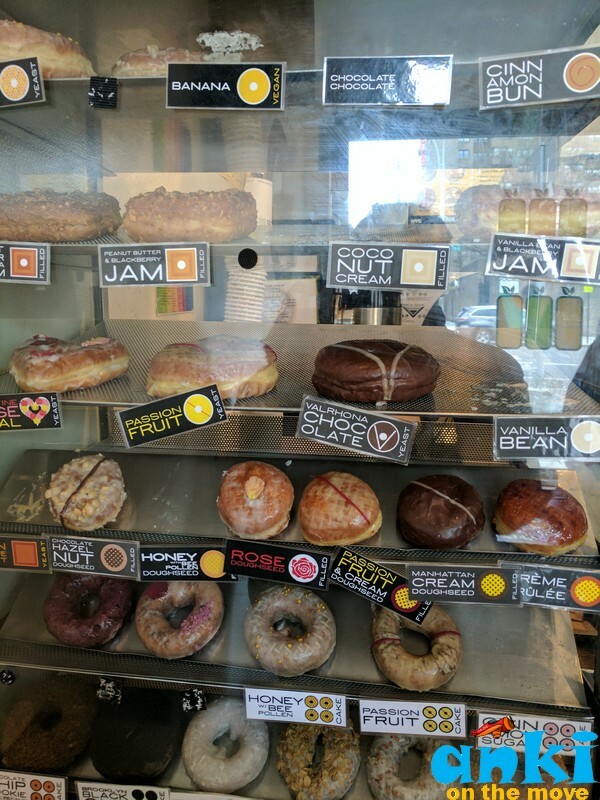 We also had donuts and dumplings in the tour. What do you think would have happened to those pushcarts which were once livelihood here. They reached a compromise with a government years back when they said no to pushcarts and reached a compromise and they rented a supermarket 'Essex Street Market’. Today it’s like a farmers market with produce, meat market, veggies etc. All in all, we had such great fun here and plus the street food is always easy on the pocket and tasty as yum! Have you tried any of the above? 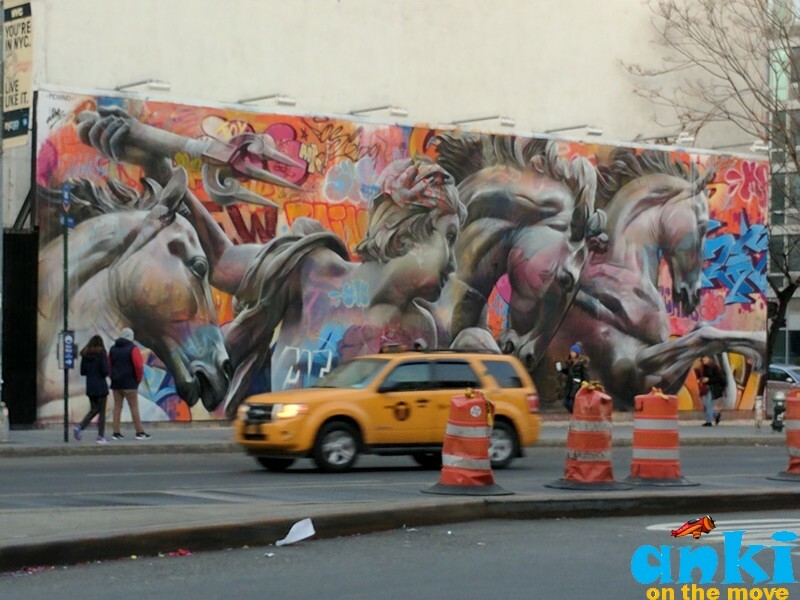 Would you love to on your next visit to New York. This is a popular tour by FreeToursByFoot, make sure to book it 3-4 days in advance for the weekends. Such an insightful post! And, I love the food that you have talked about here, especially the concept of comfort food. Would love to try Knishes.